All matriculated students of Drew Theological School (DTS) (except D. Min students) are members of TSA. TSA is the official forum for Drew Theo students. TSA makes any final decisions on student matters. Executive Committee – consists of the President, the Vice President, the Treasurer, and the Secretary. It performs and coordinates the administrative tasks and functions of the Theological Student Association and the Theological Student Board. 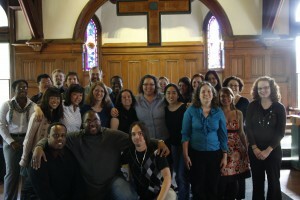 Theological Student Board – acts as the representative body of the students at Drew Theological School, and enacts policies and procedures on all matters of concern to the student body. Petitions and/or motions for resolutions are brought before the Theological Student Board by any member of the TSA, i.e. the student body, or by any member of a student organization and/or committee.